London Days: Time Out Challenges Reminder. Have you played in our 'Home Sweet Home' challenge at Time Out Challenges? I found some patterned paper that reminded me of the wall and thought I would have a go at making a card using this. 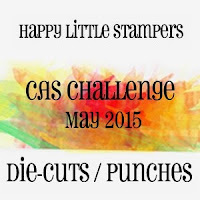 As many of you know I am not a DSP girl and really do like to just stamp. I went the DSP route after reading the little foot note at AAA cards which suggests you try something different. As I already knew I wanted to use this paper for my reminder card, this foot note gave me the little push I needed to step completely out of my comfort zone. No stamping in any way-patterned paper, die cuts and vellum. I think although all this is included I still kept to my CAS style-we learn every day! And you know what I really enjoyed making it and actually love the look of it! 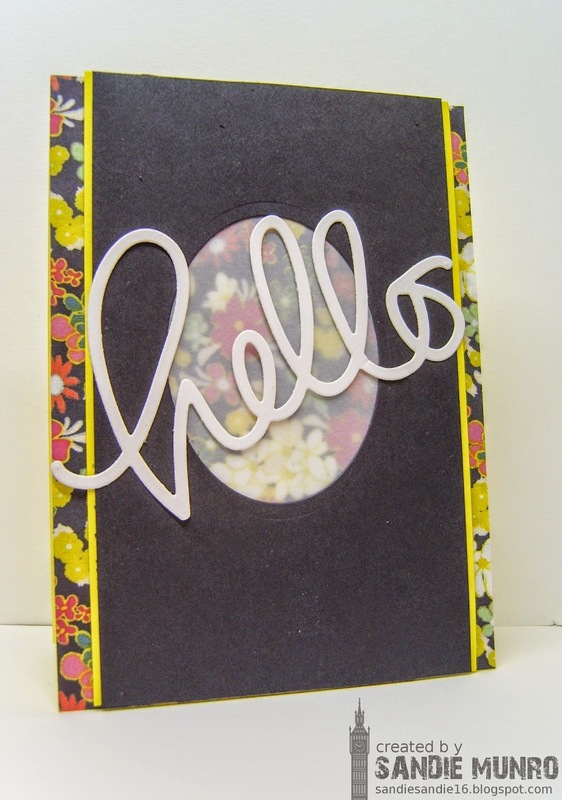 This week our Guest Designer Joyce has joined us again with an amazing card. Check it out here where you can also see what the DT have created to inspire you. 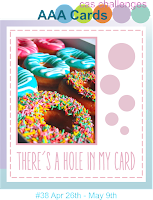 I will enter this into the 'My card has a hole in it' challenge at AAA cards-I have a negative oval die cut (NBUS) and lots of holes in my 'Hello' die cut! I will also enter the 'layers and dimensions' challenge at Virginia's view Challenge-very different to my last entry! Love how you softened the DSP with the touch of vellum. Gorgeous Sandie! Wow, Sandie, something very different for you, so striking and I like the touches of DSP and how you've used the vellum, great design! This is a wonderful card, and good for you for trying something different. The great thing about using 1 piece of patterned paper is that you are now allowed to buy a whole 'nother pad. Really, those are my rules. I like how you've used vellum in your window to soften the bright a bit. What a fabulous card Sandie...it looks like a shaker card with those sweet flowers behind the vellum, so wonderful! This so isn't your usual card.......love it!! The oval is brilliant and love the paper you found. Fantastic inspiration for everyone doing the challenge. I'm freaking out about making a 'Grunge' card for next week. What does 'Grunge' mean when it comes to cards?? You trying something new resulted in a great card, it makes me think of a 70s retro style wallpaper, I love that kind of design!